Here at ChristmasGifts.com, we have been very appreciative of all of our loyal readers. We are happy to announce our first giveaway for 2013. One lucky reader will receive a $50 giftcard to use at The Gap. It’s our little way of saying thank you. Since Christmasgifts.com supports Christmas gifts of all types, this is a great way to get a head start on the Christmas shopping season. You can win one of three ways or you can do all three. 1. Leave a comment below. Only one comment per person. Duplicate entries will be disregarded. 2. Tweet the following statement on Twitter: “I just entered for a chance to win a $50 Gap Gift card at Christmasgifts.com. #ChristmasInJuly” and put the tweet link in the comments. 3. Share this post on Pinterest and add the link to the comments section. Furthermore, we are also participating with other blogs in a special giveaway called Christmas in July. It’s an amazing group of bloggers who’ve come together to award some fantastic prizes. Below, you can see a little more from our sponsor. Welcome to the Christmas in July Giveaway Hop hosted by Just Married with Coupons, Sweep Tight and Matter of Cents! Enter to win hundreds of dollars in prizes by hopping from blog to blog! The grand prize sponsor is Maggie Bags. They take recycled material & give it new life by creating eco-friendly & sophisticated handbags! Other sponsors include SodaTabs and JustSweep! You also can enter to win $1000 in prizes by clicking on this link or by clicking on any of the individual contests below! Contest Ends July 18th at 11:59pm EST. Nice contest! I like the Gap and wouldn’t mind winning, as I’m sure I won’t have any difficulty spending the $50 gift card there! Hmmm, let’s see … slick new jeans would be quite a nice addition in my closet! Thanks for participating in our contest….we will have more contests coming up….stay tuned. Cheers! Would love to win! Love the Gap! I love gap! I shop there all the time!! Thanks for offering a head start on our Christmas shopping. I would buy jeans with the gc. Thanks for the giveaway. I love Gap. I’m trying to get a head start on my Christmas shopping! Have my fingers crossed. Thanks! Thank you for the amazing and generous giveaway! I love GAP and would love to win this prize. Thanks again. Thanks for the chance! What a great prize – I love Gap! I love the Gap, thank you for the giveaway! I love GAP… I would be so excited if I won this! This would be a great way to be able to start my x-mas shopping for my boys. I love the Gap and would love to use this to get new jeans. I can’t remember the last time I went to the Gap…..but I’m ready to go! Thanks for this giveaway! I hope I win! Great giveaway! I love shopping at gap, so I hope I win! ooh love gap -thanks for the chance! I love the Gap …thanks for the great giveaway! I like to shop for my daughter at the Gap. Thanks for the chance to win! I really need to do some wardrobe updates. Thanks for the chance! 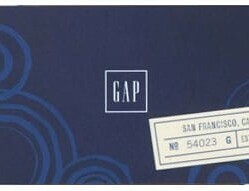 The Gap card would be great to get some clothes for my teenage son. I love Christmas in July! Thanks for the chance. Love The Gap…thanks for the chance! It would be great to get a head start on Christmas shopping. It seems to get more daunting every year. I would give this to my daughter for her birthday. Thanks for the opportunity. I love gap! thanks for the giveaway! i would love a GAP gc…i really love this flats and sweaters!!!! thanks! This would really come in handy for the Holidays!!! A Gap card would be great. Just in time for back to school shopping. Thanks for the giveaway. Thank you for the chance to win such a cool prize! I really need some new dress pants for work and the Gap has ones that fit awesome! Love to shop at the Gap. Thanks for the chance to win. Oh we love to shop at the Gap…thanks for the fun giveaway! I love that gap has clothes for tall women on their web site. I love the Gap. I saw a really cute dress. The gap is great for basic staples in my wardrobe. Thanks for the generous giveaway! Would be great to get a jump start on Christmas shopping. I love shopping at Gap for my kiddos! I would love to go shopping at the Gap! Love shopping at The Gap! Would love to win! 🙂 Thanks for the chance! would love to win this, i love the gap!! Thanks for the Christmas in July giveaway! Thanks for the chance to win! Love the Gap! thanks for participating in this fun event-it’s a great way to get a head start on Christmas gifts for sure! Gap is one of my favorite places to shop – I can do some damage on the clearance rack with this $50 card. I love the gap! I would love to win this. thanks for the chance. We love the Gap, I would love to win and use it towards back to school shopping. need some new summer clothes! My family loves the gap, this would really help out tons! Love the Gap. I would love to win this for my daughter. teachinmomma123abc at yahoo dot com. Thanks for the giveaway. We love the GAP. I love the Gap! They have the best made jeans for the best prices, and always good sales going on. Thanks for the generous giveaway! Thanks for the chance to win. Love GAP! Thanks! I would love a gift card to GAP. I’d take my mother on a shopping spree! We love the gap, thanks for the awesome giveaway. First, thank you so much for the giveaway. Second, this would come in real handy with some back to school clothes for my son. Thank you for the chance. Sure could use some new clothes, and Gap would do nicely. My hubby loves the jeans at the Gap-but they are so expensive! I would love to win a gap GC, it would be used for christmas presents. I love shopping at GAP. Great fashions! Ooh, I’d love to win this! Thanks for the giveaway! Thanks for the giveaway! The GAP has the best kids jammies! LOVE Gap! Need some new jeans like crazy. I love Gap always the cutest and best made clothes! Thank you for the chance to win this great prize~! Thanks for the chance. I’d love to win! We love Gap, thanks for the chance!! Great hop. We would all have fun shopping! This will be great for back to school. Thank you for the chance to win! A Gap Gift Card would be great to take my little guy back to school shopping :)! This would be great to help with school clothes! I’d love to win this! I really need some new pants for warm weather. Thanks so much for the opportunity. Great prize! I have three boys and a husband who love Gap! Thanks for the chance! I love Gap! Hope I win! What an amazing Giveaway thanks for chance to win! I have been shopping at Gap for decades! I love their classic quality pieces! Thank you for your fabulous giveaway! Thanks for the giveaway… back to school shopping ! I would so love to go shopping at Gap. Thanks for the chance. Thanks for the chance to win – great giveaway!! Hi I would love to pick out something nice at the gap.